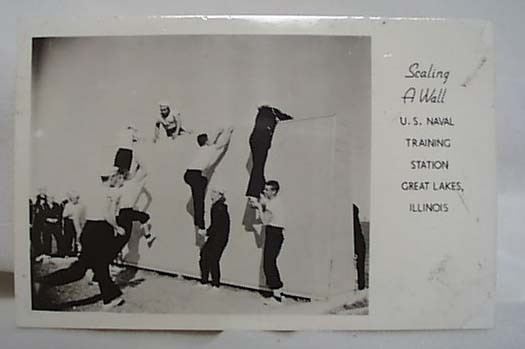 WWII Navy PC shows Scaling Wall This is a World War II 1943 Black and White Glossy Photo Postcard of the U.S. Naval Training Station at Great Lakes, Illinois. Never been used. Features: Trainees Scaling A Wall. It reads U S Naval Training Station, Great Lakes, Ill. In excellent condition. 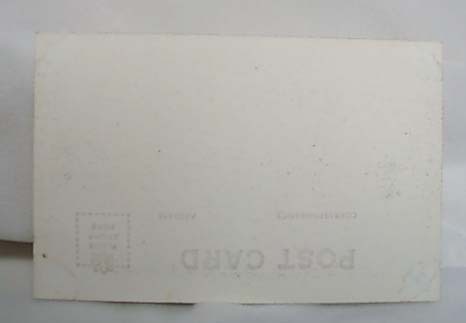 Measures 3 1/2" by 5 1/2"
Items Similar To "WWII Navy PC Scaling Wall 1943 Great Lakes"